The SIEMENS SITRANS P stands above the competition when it comes to easy operation. This video provides an outstanding tutorial on how the SITRANS P push buttons and display are used. SITRANS P offer a complete family of devices that include digital pressure transmitters for measuring gauge pressure, absolute pressure, differential pressure, flow and level. A company in the southeastern United States produces and supplies beverage containers to a large number of bottling plants. The company produces a wide size range of polyethylene terephthalate (PET) bottles for both carbonated soft drinks and water. PET bottles are formed in a two-step process that includes both injection-molding and blow-molding equipment. The customer has a need to monitor the level in storage tanks containing crystallized PET plastic pellets used in the production of plastic soft drink bottles. The crystallized pellets range in density from 30 pounds per cubic feet to 56 pounds per cubic feet, and the tanks can be up to 60 feet in height. The level measurement is used for inventory control, and it is important to maintain material supply during production periods. Production needs to know if they will need to switch tanks if the inventory is running low. The customer had been using a plumb-bob for the level measurements and had also tried ultrasonic level measurement instruments, from a different vendor, in the past. The plumb bob cable became a mechanical nuisance, and because of high dust levels, the customer had experienced periodic loss of echo using the ultrasonic level devices. The local Siemens representative convinced the customer to install a trial unit of the SITRANS LR560 radar level transmitter. The LR560 transmitter provided a continuous, repeatable and low-maintenance level measurement solution. The SITRANS LR560 unit’s plug and play performance is ideal for most solids level measuring applications, including those with extreme dust and high temperatures. Its unique design allows safe and simple programming using the intrinsically-safe handheld programmer without having to open the instrument’s lid. The customer tested the trial unit for almost a year, and because of their confidence in the reliability of the level measurements, the customer placed an order for an additional 9 instruments for use in their storage silos. Time savings: No maintenance required. Because the SITRANS LR560 radar transmitter is a non-contacting instrument, the risk of product contamination is eliminated and no extended delays are caused as when plumb-bob cables get caught or broken. Improved process reliability: Continuous level measurement is a real time indicator of how much is in the silo. A plumb-bob cable getting stuck at a certain distance can lead to misinterpretation of the actual level. After the cable gets stuck, there is no level history prior to the last request on demand from the instrument. Easier to use: The SITRANS LR560 transmitter was set up using the quick start wizard and no further tuning or maintenance is required. Unique product features: The local user interface allows for ease of con-figuration and set-up. Since the customer is only using the removable, local display during setup, the custom-er can save money by moving the display from unit to unit as needed. The narrow, 4-degree beam angle enables reliable depth penetration into the silo and ignores potential silo wall interference. 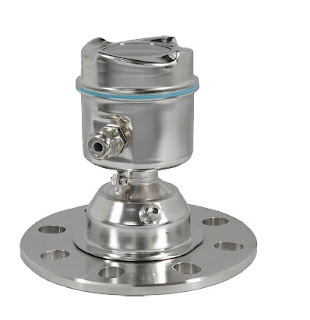 About the SITRANS LR560 Radar Level Transmitter The SITRANS LR560 2-wire, 78 GHz FMCW radar level transmitter is used for continuous monitoring of solids in silos to a range of 100 meters or 328 feet. Its plug and play performance is ideal for most solids applications, including those with extreme dust and high temperatures to +392ºF. Its unique design provides safe and simple programming using the intrinsically-safe handheld programmer without having to open the instru-ment’s lid. The SITRANS LR560 transmitter includes an optional graphical local display interface (LDI) that improves setup and operation using an intuitive Quick Start Wizard, and echo profile display for diagnostic support. Startup is easy using the Quick Start wizard with a few parameters required for basic operation. The SITRANS LR560 instrument measures virtually any solids material level up to a range of 328 feet. To discuss this, or any process instrument application, contact Ives Equipment by calling (877) 768-1600 or visit https://www.ivesequipment.com. Differential pressure transmitters are utilized in the process control industry to represent the difference between two pressure measurements. One of the ways in which differential pressure (DP) transmitters accomplish this goal of evaluating and communicating differential pressure is by a process called inferential measurement. Inferential measurement calculates the value of a particular process variable through measurement of other variables which may be easier to evaluate. Pressure itself is technically measured inferentially. Thanks to the fact numerous variables are relatable to pressure measurements, there are multiple ways for DP transmitters to be useful in processes not solely related to pressure and vacuum. An example of inferential measurement via DP transmitter is the way in which the height of a vertical liquid column will be proportional to the pressure generated by gravitational force on the vertical column. 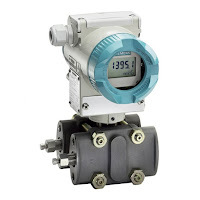 The differential pressure transmitter measures the pressure exerted by the contained liquid. That pressure is related to the height of the liquid in the vessel and can be used to calculate the liquid depth, mass, and volume. The gravitational constant allows the pressure transmitter to serve as a liquid level sensor for liquids with a known density. A true differential pressure transmitter also enables liquid level calculations in vessels that may be pressurized. Gas and liquid flow are two common elements maintained and measured in process control. 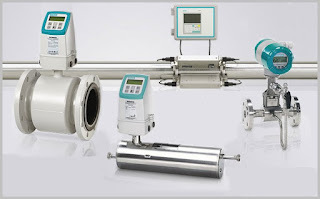 Fluid flow rate through a pipe can be measured with a differential pressure transmitter and the inclusion of a restricting device that creates a change in fluid static pressure. In this case, the pressure in the pipe is directly related to the flow rate when fluid density is constant. A carefully machined metal plate called an orifice plate serves as the restricting device in the pipe. The fluid in the pipe flows through the opening in the orifice plate and experiences an increase in velocity and decrease in pressure. The two input ports of the DP transmitter measure static pressure upstream and downstream of the orifice plate. The change in pressure across the orifice plate, combined with other fluid characteristics, can be used to calculate the flow rate. Process environments use pressure measurement to inferentially determine level, volume, mass, and flow rate. Using one measurable element as a surrogate for another is a useful application, so long as the relationship between the measured property (differential pressure) and the inferred measurement (flow rate, liquid level) is not disrupted by changes in process conditions or by unmeasured disturbances. 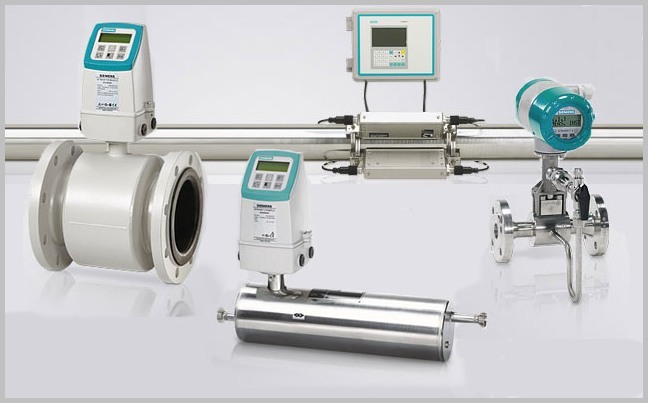 Industries with suitably stable processes - food and beverage, chemical, water treatment - are able to apply inferential measurement related to pressure and a variable such as flow rate with no detectable impact on the ability to measure important process variables. 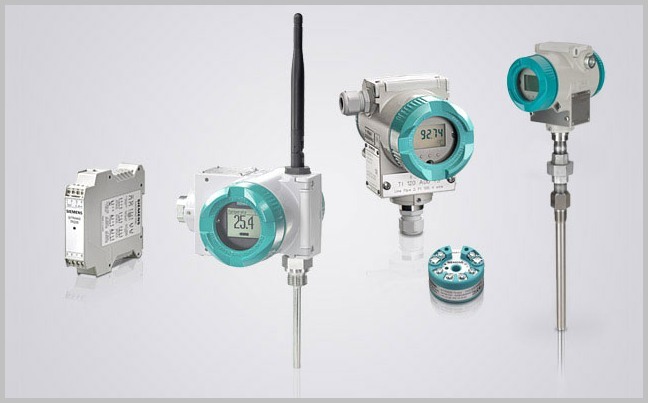 Industrial temperature transmitters are devices that measure the temperature of a process and provide a measurable output over some desired temperature range. 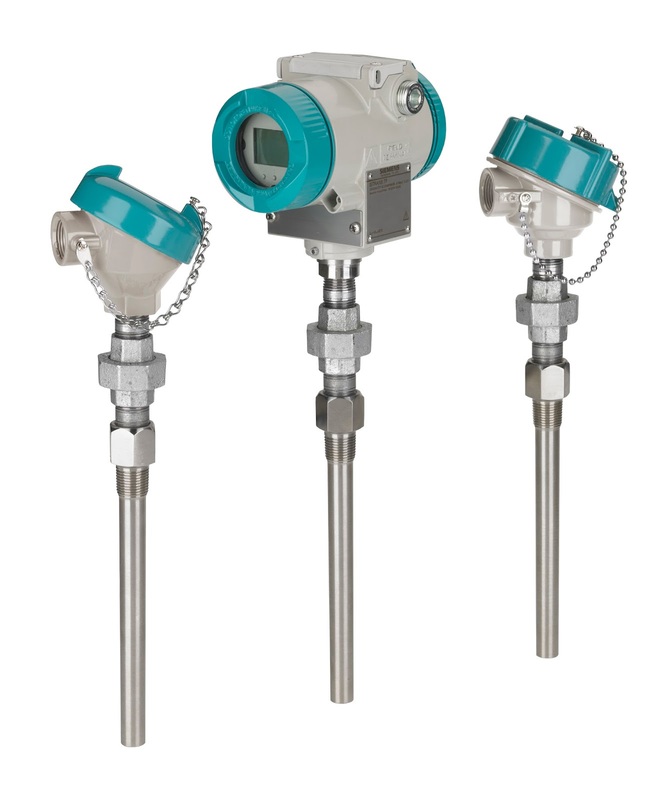 Industrial temperature transmitters primarily use either of two popular temperature sensors - the thermocouple or the RTD (resistance temperature detector). The RTD changes resistance as process temperature changes, while a thermocouple provides a changing micro-voltage with process temperature change. RTDs are inherently more accurate, but require excitation voltage. There are three style RTD's - 2-wire, 3-wire, and 4-wire. It is critically important to note that the common connections shown by the symbols for 3- and 4-wire RTD sensors represent junction points at the sensor; not terminals jumpered by the technician at the time of installation, and not internal jumpers inside the transmitter. The whole purpose of having 3-wire and 4-wire RTD circuits is to eliminate errors due to voltage drop along the current-carrying wires, and this can only be realized if the “sensing” wire(s) extend out to the RTD itself and connect there. If the transmitter’s sensing terminal(s) are only jumpered to a current- carrying terminal, the transmitter will sense voltage dropped by the RTD plus voltage dropped by the current-carrying wire(s), leading to falsely high temperature indications. Click here for more information on industrial RTDs and temperature transmitters. Some of above content taken from Lessons In Industrial Instrumentation by Tony R. Kuphaldt – under the terms and conditions of the Creative Commons Attribution 4.0 International Public License. Many process safety experts are looking for sustainable ways to help their personnel improve their safety critical loops, do it in the most cost-effective way possible, and with a minimum of complexity. The problem is the traditional approaches to deploying a full blown safety system are expensive and very complex, and still may not deliver the needed risk reduction for some safety critical systems and loops. In the sensor subsystem for example, United Electric’s certified safety transmitter for pressure or temperature has opened up a new, less costly, less complex path for designers, I&C engineers, and maintenance personnel. It has something very unique. In addition to a 4-20 mA output, is has an embedded programmable high-capacity relay which exida has certified as a safety variable output. Now you have a device that provides designers the option of a hard wired trip in less than 100 milliseconds, with a tenth of a percent repeatability, while still providing the monitoring functions of a traditional continuous analog output. For equipment under control, like pumps and compressors that require protection, or processes where rapid excursions can initiate dangerous events, this unique pressure and temperature transmitter, (certified for use in SIL2 safety instrumented functions, with SIL3 capability) is addressing process safety time constraints, coupling issues with PLC and DCS’s, and adding diversity to the safety instrumented function. 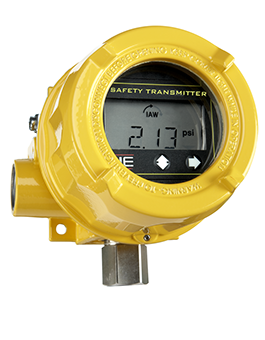 The safety transmitter has a safe area fraction of 98.6% with breakthrough, automatic, self diagnostics and is one-third the cost of typical certified process transmitters. You're a process measurement and control engineer. Everybody is looking to you to make things work smoothly. When things fail, chances are someone is going to point a finger at you and ask why you didn't think of that bizarre confluence of events that managed to take things down. Let's look at a piece of your universe where some careful consideration will help keep disaster at bay. Industrial processes require measurement to produce predictable, consistent, and desirable outcomes. It follows that there will be numerous data gathering points throughout the physical extent of the process, each staffed by a transmitter designed to measure temperature, pressure, flow, or some other process variable used to assure conformance of the operating process with its specifications. Each process measurement device must be carefully selected for accuracy, stability, and a number of other technical elements that make it well suited to measure the dynamic activity of your industrial process. Proper technical selection of the measurement hardware is certainly a key function that leads to a successful project. What other factors may play a role in delivering a well functioning, long lasting process measurement system? The technical aspects of a process measurement and control device are but one consideration in product specification and installation. They come into play only when the device is working. Look at the event or condition possibilities, even those with very low perceived probability, that might take the measurement device out of action. Your research and good judgement, along with input from experienced application engineers will help you decide which to incorporate into your design and specifications. Know the very extremes of weather conditions that may occur at the physical location of the device. Weather data for almost anywhere in the world, and certainly every major industrialized country, is readily available. Your device should be able to withstand the onslaught of any documented local condition on record, with some headroom included. Even if the process is planned to be shut down in unusual weather conditions, the temperature transmitter or other device you specified needs to be able to survive and immediately return to service when the process is restarted. Find local weather data and make it part of your process measurement device specification and selection process. Know the process generated extremes that can impact device functionality. Of course, you will select a pressure transmitter or other measurement device to accommodate the generally expected conditions associated with the process. Consider, though, what other conditions might be produced coincidental to the process. There may be machinery, valves, or other physical events not contemplated here that might, on occasion, produce a local condition that can damage your transmitter. Look for potential sources of vibration, shock, temperature, or other elements that might have potential to take your measurement device out of service. Know the security exposure of the device. Something rarely considered in the past, an assessment of who might want to commit malicious acts against the process stakeholders or the process itself, and how they might do it, should now be a part of all project designs at some level. Additionally, the ability for anyone to impact process operation, directly or indirectly, through its measuring devices should be well understood. Know the physical contact hazards. Measurement devices need to be accessible for calibration, maintenance, even real-time observation in some cases. They also need to be protected from impact resulting from human activity related to operation, maintenance, and repair of nearby items. Often, flow meters or other process variable transmitters are located adjacent to traffic areas of the facility. This eases access for maintenance and repair, but also exposes the devices to damage from other activity along those traffic lanes. Consider the physical location and protection of installed devices to thwart the effects of unplanned contact with dollies, carts, boxes, dropped tools, and a host of other unpredictable happenings. The vast array of modern industrial measurement devices employ electronics in their function. These electronics, along with possibly other parts of the device, must be protected from the harmful effects of moisture. Specify the proper enclosure and connection devices, as well as the manner in which they need to be installed in order to assure proper protection. The entrance of moisture into a device enclosure can be very slow, almost undetectable in the short term. Assure that barriers to moisture entry are adequate, as well as, in appropriate cases, a way for accumulated moisture to easily exit the enclosure. Invest your time and effort to produce a solid installation with a trouble free life cycle. Then sleep well. Consult with an experienced engineering sales team for help with your application.